Pesticides aren't just on the food, the chemicals are inside food, too. Pesticides are designed to kill, although the mode of action they use to put the stranglehold on pests varies. Whether it's nerve gas–like neurological disruption, the unbalancing of key hormones, or the stunting of a plant's ability to absorb life-sustaining trace minerals from the soil, none of the chemical interventions seems all that appetizing, especially considering that chemical residues routinely wind up on and even inside of the food we eat everyday. Pesticides are also blamed for diminishing mineral levels in foods. Agrochemical supporters tend to fall back on a "the dose makes the poison" theory, assuming that small exposures aren't harmful. Increasingly, though, independent scientists are debunking that belief, even proving that incredibly tiny doses could set a person up for health problems later in life. Luckily, eating organic, less processed foods can cut back on your pesticide exposure. Here are 9 health problems associated with pesticide-based agrochemicals. 1. As required by FDA GMP's, each and every raw material received into our facility is tested for identity. Identity testing is simply confirming that the raw material is indeed what it says it is on the raw material's labeling. Most identity testing is conducted via Fourier Transform Infrared Spectrometers (FTIR) or Thin Layer Chromatography (TLC). 2. All FTIR identity testing is performed in-house, at XYMOGEN's state-of-the-art analytical laboratory. All TLC identity testing is performed by two of XYMOGEN's qualified third-party laboratories, Alkemist Labs and Advanced Botanical Consulting & Testing. These two companies are arguably the most reputable labs in the industry for the identification of botanical ingredients. 3. In addition to finished product certificates of analyses (COAs), customers may also request COAs on raw material identity testing for any raw material in a given finished product lot. You are receiving this email because you have either signed up to receive XYMOGEN email communications and/or are a registered XYMOGEN healthcare practitioner. Be sure to add marketing@xymogen.com to you address book to ensure optimal delivery of our emails. To update your email preferences and subscriptions please click here. The greatest health care challenge of the twenty-first century is keeping our bodies functioning in an environment that is becoming increasingly polluted. Detoxification and cleansing programs have been key components of supporting good health since the beginnings of natural health, even as far back as 420 BC with the teachings of Hippocrates. After all, gastrointestinal health is the cornerstone of optimal wellness. 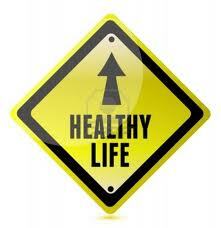 We must detoxify the body and its elimination systems often, allowing for the consistent drainage of toxins. Our food supply has undergone tremendous changes since the Agricultural Revolution, especially in the last century. We are bombarded with processed “dead” foods, which do not include the nutrients that we need to thrive. The shift has been rapid and our bodies, literally, have not had enough time to adapt to these radical changes. Returning to our original eating patterns on a regular basis allows our bodies the opportunity to cleanse and renew itself. The goal of detoxification is to eliminate the foods in our diets to which we have become addicted, both physically and emotionally. As creatures of habit, we subconsciously choose from the same few food items for our meals. Part of this behavior may be attributed to the dominance of certain foods, advertising and the convenient nature of some of these foods. Periodically changing our eating habits gives our bodies a chance to rest from its normal digestive and detoxification functions, thereby giving it the opportunity to do some internal cleansing.